We are a leading Manufacturer of scalar energy pendent, quantum scalar energy pendant, konark scalar pendant, nmt pendant and two tone mineral energy pendant from Navi Mumbai, India. 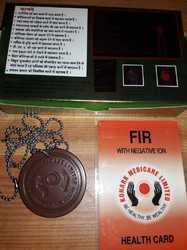 Our in-depth domain knowledge of offering a wide assortment of Scalar Energy Pendants has enabled us to offer our clients Scalar Energy Pendant that uses healing properties of biomagnetic fields for assured health benefits and energy as well as immunity boosting. It has a positive effect on physical as well as mental energy and general health. 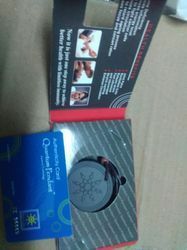 It is very safe and proven way to fight stress and strain in the day to day life. This helps to flush out of toxins and metabolic wastes from system to generate positive waves and relax the mind. We maintain rigid quality standards and offer these at reasonable rates to our clients. 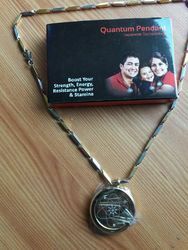 We are involved in presenting the best quality of Quantum Scalar Energy Pendant to our admired clients. These products are extensively used for their high strength and seamless finish. 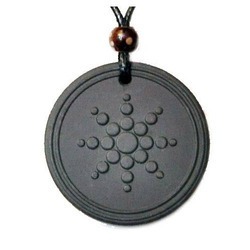 We offer Konark Scalar Pendant. Our company has earned accolades in offering NMT Pendant to the clients. The offered range is available in both single vertical and single horizontal models. This product is equipped with 5/15 amp electrical socket and switches. The offered range is acknowledged in the market for high proficiency, superior quality, and excellent finish. Reckoned as one of the eminent business names, we are actively presenting best-in-class Two Tone Mineral Energy Pendant to the prestigious clients.